Point for point, it’s pretty hard to disagree with anything Becker says. He deftly covers all the bases: the propensity for tearing down buildings when they hit the fifty year mark, the vested energy in existing buildings, the sheer volume of landfill that would result from demolition, the architectural merits and pedigree of the complex. Of particular interest is the notion of bridging the railyards to the east as an alternative site, an option that was inexplicably discarded. If the air rights are available, that should be a no-brainer. 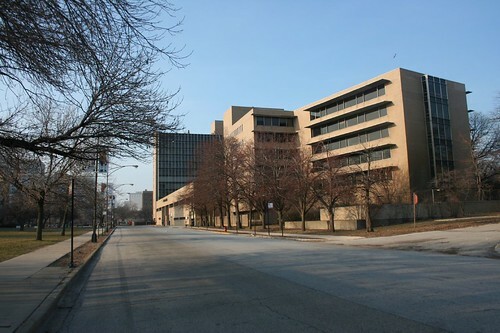 Such construction would constitute an expansion of the city’s usable urban space, as well as providing Bronzeville with a much-needed connection to the lakefront. We would have Michael Reese (its buildings renovated and repurposed) sitting next to a second complex of brand new buildings, a chain of urban development leading to the lakefront. 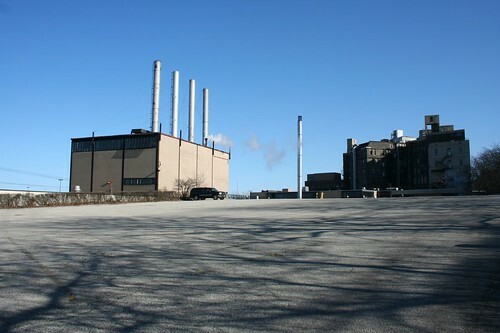 Tearing down Reese, by contrast, means destroying a dense development only to replace it with another one, while leaving the complex and the adjoining neighborhood disconnected from the nearby lake. And beyond that wasted opportunity, the insanity of tearing down a group of buildings that still look like brand new should be patently obvious to… well, anyone. The whole thing smacks of politicians craving the photo-ops of ribbon cuttings and ceremonial first swings of the wrecking ball. Don’t believe the hype. 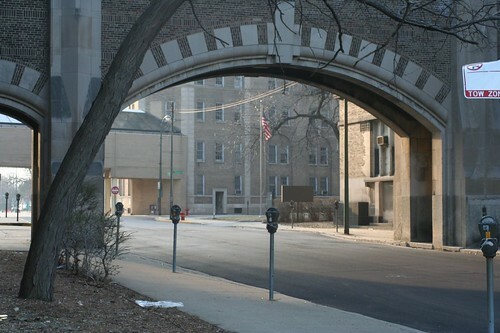 Michael Reese should be renovated, not obliterated. 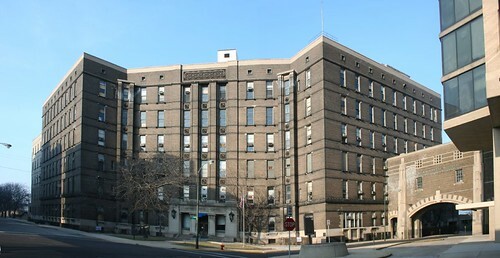 More photos of Michael Reese Hospital at my Flickr space.